You only get one chance to make a first impression – right? That’s why we all brush our teeth before we leave the house in the morning or check our hair (and teeth) before we give a big speech. Your welcome series is the first impression that you give a new email subscriber; it sets the tone for your relationship. So, let’s make it great! 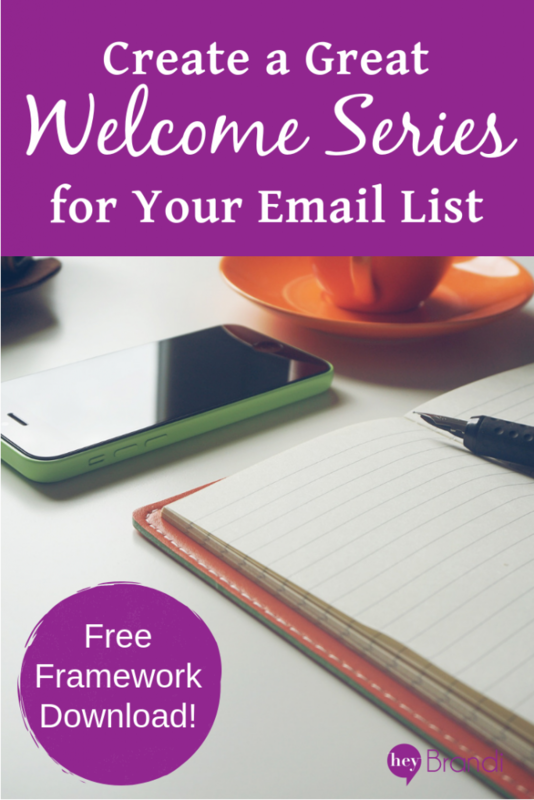 A welcome series is the first few emails you send a new subscriber to your list before you start sending them your regular newsletters. Your welcome series will often be 3-7 emails long. The number of emails you send, and how long you wait between them will depend on your customer behavior and how often you’re sending your regular newsletters. If you have a long sales cycle or infrequent newsletters, then you’ll need a longer welcome series. The first email in your welcome series is the first one they get after they’ve confirmed their subscription using a double opt-in. In this email, you really want to introduce people to your brand. Who are you, and why are you uniquely qualified to help them. Your brand story is an opportunity let your new subscriber know that you’ve been where they are, that you’re now on the other side, and that you can help them get there too. You also want to set expectations of how often they’ll be hearing from you, and what kind of information you share in your emails. This email is also your prime opportunity to build a connection with your readers. Ask them a question that drives a response. For example, you can ask them about the biggest problem they’re facing now (that relates to your business, of course). 24-48 hours later, you’ll send the second message. In this message, you’ll want to add value and appeal to ways you can fix the problem they had when they signed up. In Email 2, give them more ways to connect with you, like following you on social media, joining your Facebook group, or subscribing to your podcast. This is still the honeymoon phase with your email subscriber, so you’ll want to deepen the connection as much as possible. This is also a good time to give a subtle nudge to your product or service. The final email in your welcome series will go out 24-48 hours after email two. With this email, we want to get more information about your subscribers. Ask a question and give a couple of links for someone to answer – then when they click on the link, your email service provider can tag (or label) the subscriber with their preference. You can use this to segment your subscribers to send them special offers – plus you’ll learn a lot about who your subscribers are and what they need. That’s also a good time to help people go a bit deeper with you and your content, so include links to 3-5 of your favorite pieces, whether they’re from your podcast, video series, or your blog. This third email is also the prime time to share a short-term or limited time offer. You’ve built a solid introduction, helped your new subscriber tackle at least a small piece of the problem that they’re facing, and given them some good free content. Now, you may be thinking “It’s too early for an offer! I don’t want to scare them away with a sales tactic!” Let’s clarify a couple of misconceptions that come with this thought. Second – you do want to train your subscribers from the beginning that you’re going to be selling to them. I’ve seen several clients lately who have needed to do a lot of clean-up on their list and Facebook groups because they were afraid to sell in the beginning. Instead, they gave away bits and pieces of content, believing when they eventually gave enough value, those people would seek them out and *want* to pay. They created these little dependent birds who needed to be hand-fed each piece of value, and then they keep clamoring back for more. Trust me – your subscribers need to know that this is a business for you (if it is!) and that you’re going to give them the opportunity to pay you. Some will take you up on it. Some never will. But the more often you give value, with a way to exchange cash for even more value, the easier it’s going to be to get more of them to pay you. There’s an optional fourth email in this welcome series. It goes to people who clicked on the link for your short-term offer, but didn’t buy. When they clicked, they showed some level of interest, so you can send them a reminder email with additional information about the offer. 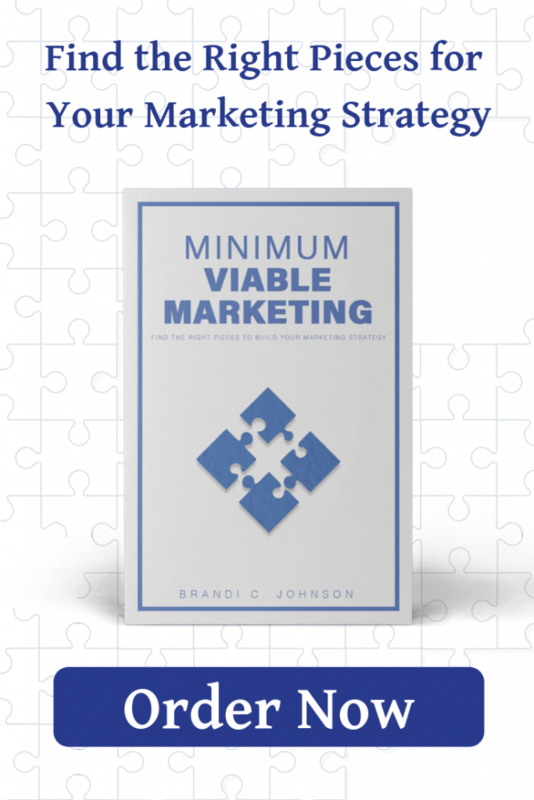 Now – with this framework, you can create or refine your welcome series. Be sure to sign up for the free Resource Library below to get the framework that will make it easy for you to create your welcome series!